Tag Archive | "fuel surcharges"
The latest fare increase implemented by large American airlines has been cut in half because of the pressure felt from discount carriers. Last week, major network carriers such as American, Continental, Delta and United increased many of their domestic fares by $20 per round trip ticket. However, the rise in cost had been lowered to $10 by Monday afternoon. Five broad-based fare increases have already been attempted by the airlines this year. In fact, most of them adhered to the given price increase. Larger airfare increases have been enforced twice on high-priced tickets often picked by business travelers. At that time, plane tickets were increased as high as $60 per round trip. On their third attempt, airlines failed to increase business fares. CEO Rick Seaney of FareCompare.com said that the latest rollback took place after low-fare airlines such as AirTran, Frontier, JetBlue and Southwest started raising fares to only half of the price increases of larger carriers. The larger network airlines subsequently slashed their fare increases in half to prevent them from pricing more than their low-fare competitors, Seaney said. In addition, he said that American airlines will keep on testing price increases in the following weeks to determine how much travelers will accept. 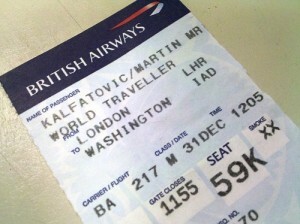 Some of the analysts believe that airlines will shun customers away once they further increase prices on leisure tickets. Even though airlines offer ticket sales, prices are still higher than last year. CEO Tom Parsons of Bestfares.com said that Southwest carrier even increased its lowest sale price by $5 each way on short trips. 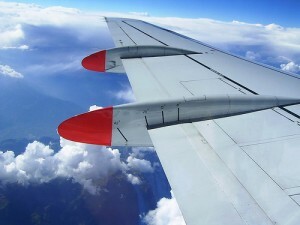 Airlines also increased fuel surcharges on flights involving United States and Europe. The charges went up from $360 to $400 a round trip, which tripled some of the airfares for travel in late March. People looking for cheap airfares to travel this summer might need a bit of luck to find them. Currently, airlines are holding back their great deals and discounts durring most summer travel periods. However, they are already giving out astounding bargains for both international and domestic flights this spring. Delta Air Lines offered the lowest cost for round trip tickets to some European cities last Tuesday. Taxes where even included in the $138 airfare. Within a few hours, the offer was gone. This led some experts to say it was an error in pricing. Lufthansa also mistakenly priced its flights without fuel surcharges, according to George Hobica, the founder of airfarewatchdog.com, which is a travel advice website. Again, the low-priced fares did not last long. Although some seat sales for spring flights are unexpected and difficult to find, most of them are rather easy to spot. Discounts for flight fares often occur from Tuesday until Thursday. In fact, Southwest Airlines and other airlines offered a $138 round trip flight to many U.S. destinations. According to Tom Parsons from the travel website, BestFares.com, airlines usually promote a lot of sales. However, the discounts right now are limited to travel flights before the month of May. He said travelers should find an airline that will extend a sale into summer, and when they do, their credit cards should be ready. The CEO of FareCompare.com, Rick Seaney said round trip fares are expected to increase to $250 since airlines are not yet giving discounts for summer trips. He said airlines usually give bargains three months before the start of summer vacation to measure the demand on travel. Last summer, air fares rose as travel demand increased. Airlines strictly controlled the number of seats and flights. The Federal Aviation Administration predicts that more people will be travelling this year than last year.